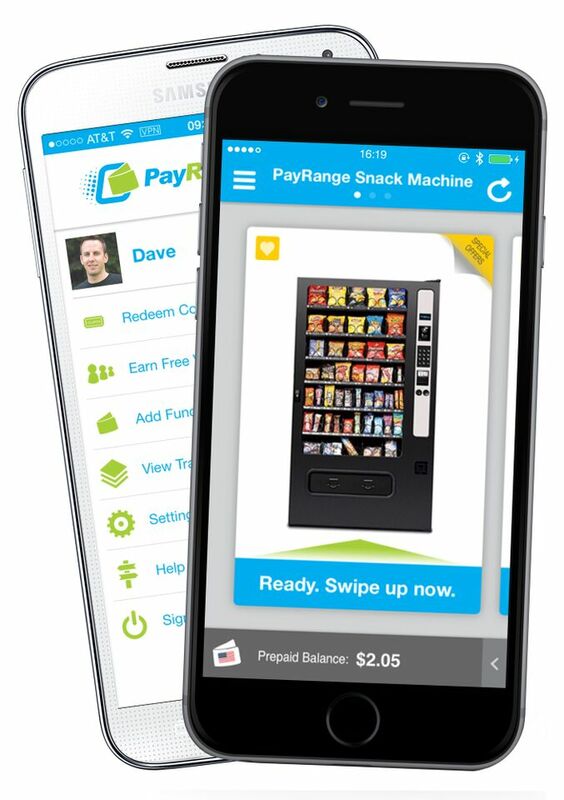 SAN JOSE, CA--(Marketwired - June 25, 2015) - PayRange, makers of the world's simplest way to enable machines to accept card and digital payments, today announced that it has received $12 million in Series A funding led by Matrix Partners to modernize the $45 billion vending industry still stuck in the era of cash and coins. PayRange enables vending machines to accept any form of payment, from credit card to Apple Pay, so that consumers have the freedom to purchase what they want, when they want. Currently more than two-thirds of retail transactions are completed with a credit or debit card, resulting in over $4 trillion of card payments annually in the U.S. Card acceptance has become ubiquitous as merchants see sales increase an average of 20% or more upon acceptance of credit cards. This underscores that today's consumers expect the option to pay with methods other than cash when they make purchases. Compare this to the vending industry -- an industry where close to 80 million consumers in the U.S. make purchases every day from approximately 8 million machines nationwide. Yet, 98% of vending purchases are made with cash because only 5% of vending machines accept credit and debit cards, given card readers remain too expensive and complex to implement. "The expectation of paying by cash and coin is particularly painful for the tens of millions of consumers who use vending machines as their work or school fridge," said PayRange founder and CEO, Paresh Patel. "These are not casual users. They visit the same machines every day and deserve an easier way to buy their morning coffee, bottled water, sandwich, or afternoon snacks. "Nearly half the time someone walks up to a machine with the intent to purchase, he or she leaves empty handed because the buyer simply doesn't have the right change," continued Mr. Patel. "This results in billions of dollars in sales lost each year. PayRange solves this problem by offering operators an easy and affordable way to accept any form of payment to capture those lost sales." 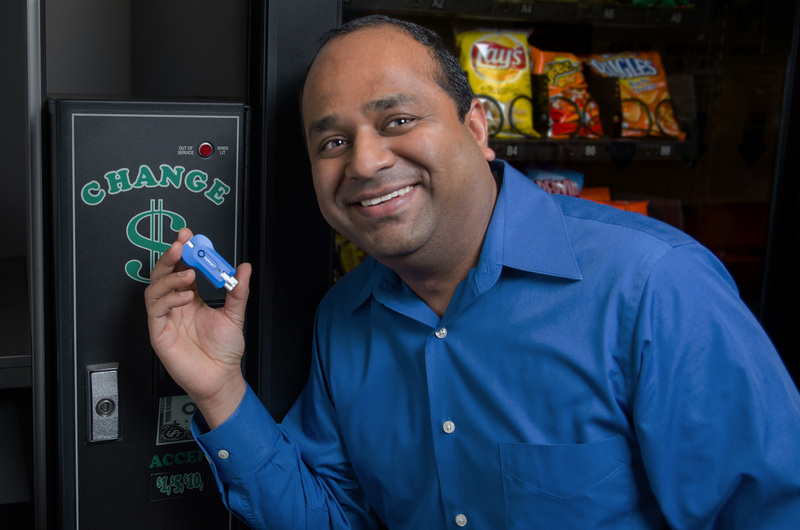 PayRange uses a small device which plugs into the back of the machine and a customer-side mobile app to enable any vending machine to accept all forms of payment in less than 30 seconds. The PayRange device leverages BLE (Bluetooth Low Energy), which enables customers to connect directly to it through the PayRange app (available in the Apple App and Google Play stores). Customers simply launch the app, select a payment instrument, and choose a nearby machine. The selected machine will instantly show their balance, and customers can make their purchases. No personal information is sent to the machine, and credit card numbers are managed securely by a PCI compliant processor. The result is an incredibly fast, simple and secure purchasing experience for a fraction of the cost of adding even the most basic card reader to a machine. Additionally, PayRange supports Apple Pay and has planned support for Android Pay, solving the challenge of the last mile connection to machines through a proprietary Bluetooth platform. To date, neither Apple Pay nor Android Pay could work directly on a machine without a network connection, of which only 5% of vending machines currently have. Far fewer have the required NFC reader. Using the PayRange App, however, users can fund their accounts through these digital payment methods and instantly send payment to their designated machines. 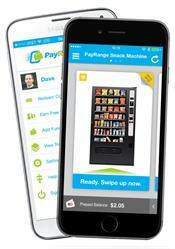 PayRange delivers the seamless user experience Apple and Google have envisioned to the vending market. By enabling digital payments, PayRange also provides operators with the first smart vending platform delivering real-time inventory and user purchasing data. Previously, operators had to guess at this information and only received data on their machines when they were restocked or serviced. With PayRange, web-like analytics are automatically available for operators to manage inventory, learn what's selling, and track individual customer purchases at any given moment. Vending operators, like their online and retail counterparts, now have access to the tools that empower them to more precisely manage and grow business. PayRange selected Matrix Partners to lead its Series A based on the firm's extensive experience in payments and its history of helping founders scale enterprise and consumer companies. General Partner, Jared Fliesler, a former Square executive, will join PayRange's board of directors. "A quarter of Americans make purchases at vending machines every day, whether it's at the office, on campus, or at the mall, and yet the vending machine has hardly changed since it was introduced," said Mr. Fliesler. "PayRange applies sophisticated technology in an elegant, affordable way to remove all payment friction from the vending experience. In doing so, it generates happier customers and more revenue for operators. It also provides the potential to sell a wider range of products at varying price points and the tools to operate these machines as mini retail centers. We've just started and already operators are seeing a double-digit lift in sales when they add PayRange." PayRange is also backed by seed investor Nyca Partners, the venture capital and advisory firm exclusively focused on applying innovation in financial services. Through Nyca, PayRange is supported by payments luminaries such as Managing Director and former President of Visa, Hans Morris, and investment partners Max Levchin, Co-founder of PayPal, and Osama Bedier, creator of Google Wallet and founder of Poynt. "Vending is still stuck in the 50s. PayRange makes it a magical mobile experience and ridiculously efficient through data for the operator," said Mr. Bedier. "PayRange users come back 10 times per month. That's why nearly 700 operators managing a million machines are rapidly deploying." In just six months since shipping its first devices, PayRange has sold to more than 680 operators who manage one million machines across all 50 states and Canada. To learn more about PayRange and how you can add a device to your machine, please visit www.payrange.com. PayRange was founded in 2013 by Paresh Patel in order to provide operators and consumers with the simplest, most accessible, and most efficient payment solution ever designed for a machine. Consumers can download the free mobile app from the Apple App Store or the Google Play Store to painlessly make transactions at unattended points of sale. PayRange has offices in Silicon Valley and Portland, Oregon, and the company is backed by Matrix Partners, Nyca Partners, Google Ventures, and individual investors. Find out more at www.payrange.com. Matrix Partners backs bold entrepreneurs who have the vision and unstoppable drive to make a difference in the world. Our general partners have lived the entrepreneurial journey you are on and we stand behind you, with the experience, resources and commitment to amplify your efforts and help you succeed. From our beginnings with Apple, Sycamore Networks and Veritas, to recent investments in Oculus VR, Zendesk, Hubspot, JustFab, Gilt, Meteor and more, we've earned the trust of each founder we've supported. Find us in Palo Alto, Cambridge, Shanghai, Beijing, and Mumbai, at matrixpartners.com or @MatrixPartners. PayRange enables vending machines to accept any form of payment, from credit card to Apple Pay, so that consumers have the freedom to purchase what they want, when they want. The company just recieved received $12 million in Series A funding led by Matrix Partners.